Investing in the stock market can be risky! Especially when you consider what is going on globally. If you are waking up today and seeing the impacts of an overvalued stock market, you might want to find another way to diversify your portfolio. A great investment to consider is Real Estate, especially on Cape Cod. Market demand is high, for both existing homes and new construction, and with the Baby Boomers swiftly moving into retirement, we are seeing a steady stream of home buyers in the Cape Cod area. 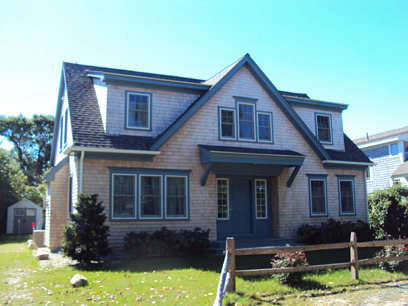 We have also seen high demand for waterfront and water view custom homes in almost every town on Cape Cod. 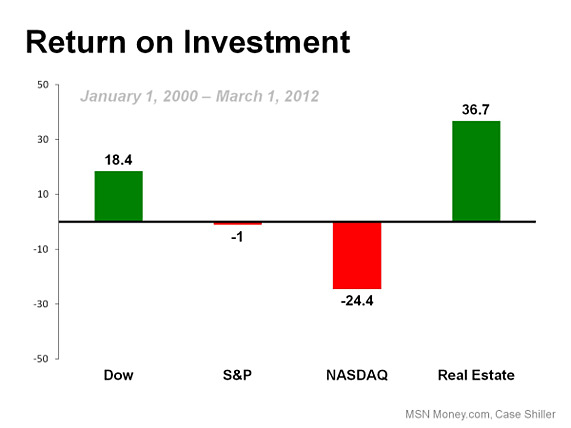 When compared to the stock market, Real Estate provides a much more consistent and predictable return on investment. If you are considering investing in Real Estate, or Building, Renovating, or Buying a home on Cape Cod, give us a call to find out how REEF can help! Been spending a lot of time inside? How’s your kitchen looking? Time for a little updating? 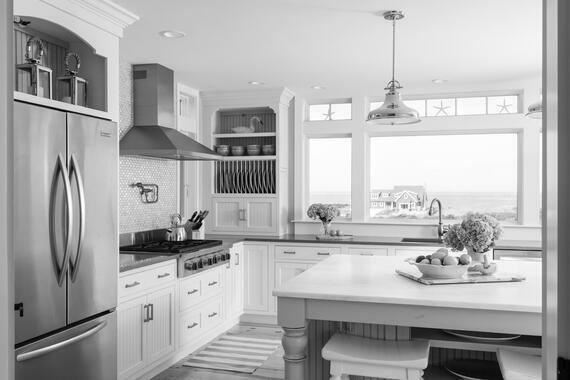 As we approach another Cape Cod Summer, many folks are taking a second look at the heart of their home…the kitchen. Ready to get inspired? 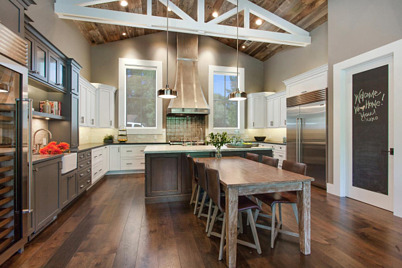 Here are some great resources for thinking and planning for your 2015 kitchen overhaul. Modern; classic; warm hardware tones – who knew? These photos and design sites for fresh new kitchen ideas are bound to get your juices flowing, and your kitchen plans going! 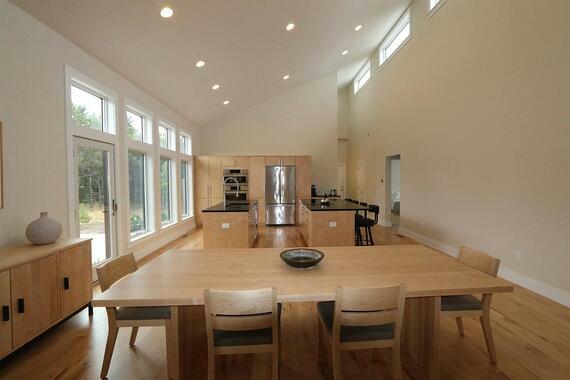 The REEF team was asked to design and build a contemporary home, with clean lines and modern finishes in Truro. The owners worked with Jim Hagerty our lead designer and developed a clean contempory look using high quality, low maintenance materials. The project moved over to the construction team a year ago and REEF's building team did agreat job executing the plan. The owners wanted to recover their investment quickly and put the house on the market as soon as the landscaping work was complete. The results - a full price offer within 2 weeks of hitting the market! 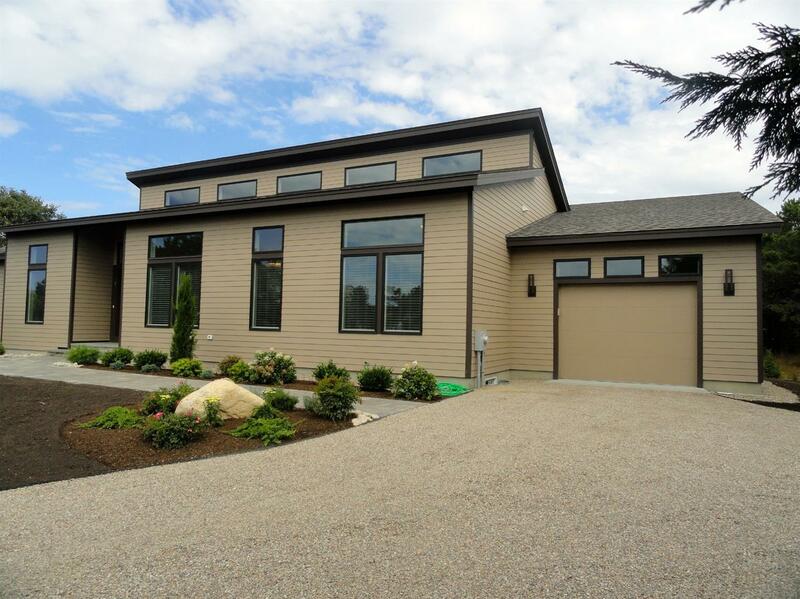 The owners have just purchased a second property and have engaged the team at REEF to design and build a second custom home! The outer cape offers great investment opporutnities, especially with new, high quality construction, and a beautiful contemporary design. 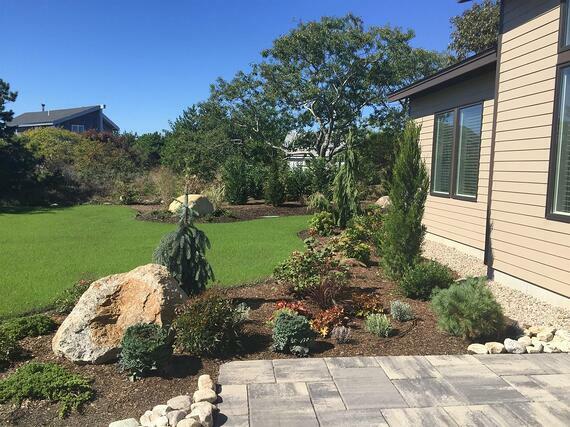 If you are thinking of designing, or building a custom home in Truro, or anywhere on Cape Cod, consider a team with proven results! 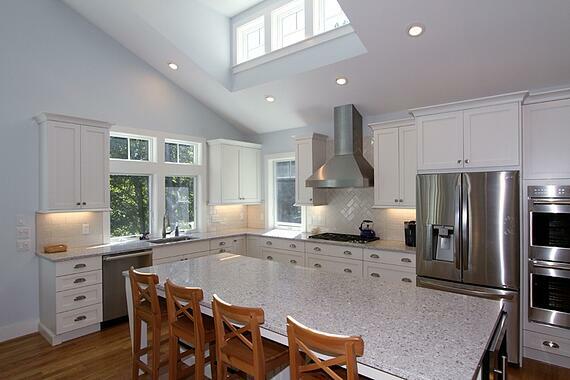 Consider REEF Custom Builders! Investing in the stock market can be risky! Especially when you consider what is going on globally. If you are waking up today and seeing the impacts of the Brexit vote on your stock portfolio, you might want to find another way to diversify your portfolio. A great investment to consider is Real Estate, especially on Cape Cod. 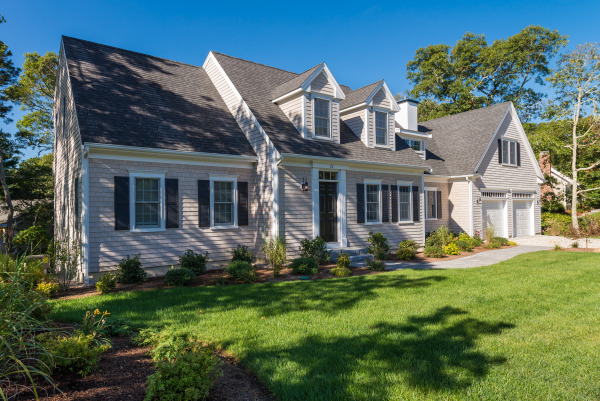 Market demand is high, for both existing homes and new construction, and with the Baby Boomers swiftly moving into retirement, we are seeing a steady stream of home buyers in the Cape Cod area. 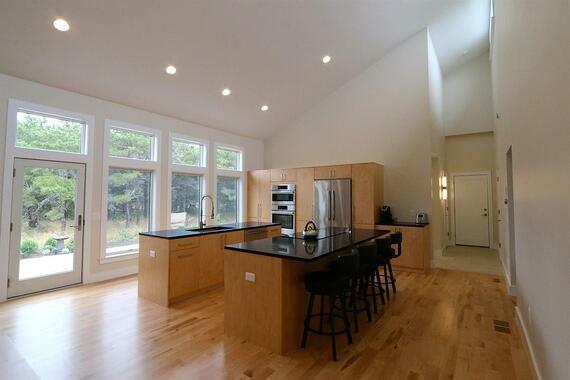 We have also seen high demand for waterfront and waterview custom homes in almost every town on Cape Cod. Many of the folks I talk with are incredulous that REEF Builders guarantees the build cost and the occupancy date of their new homes. “How can you do that?” is a common question. At REEF the Design – Build process is very carefully managed, and the cost of every process and fixture is captured. REEF invests a lot of time into understanding the conditions at the site, as well as developing comprehensive design specifications with and for the Home Owners. Ensuring that there are “no surprises” is crucially important to exceeding Customers’ expectations. It’s back to school, and back to work! You’ll be gone from home for most of the day… We don’t like to think about it, but crime is never going to go away. 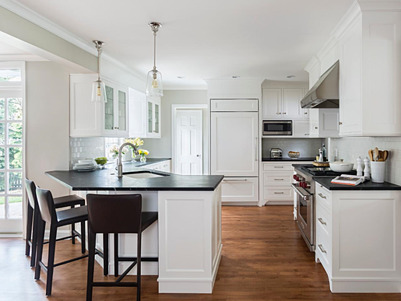 The nicer your Cape Cod home, the more it is a target for unsavory types. 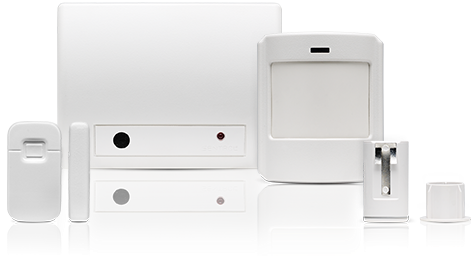 Every home we design and build includes a security system. They don’t have to be expensive to be effective. But what if your home is already built? 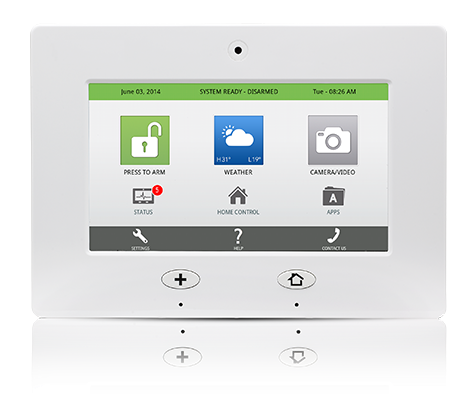 What’s the best security system for you? Ready to get “off the grid”? 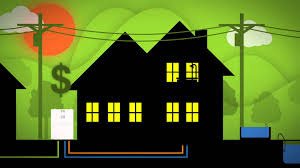 Tired of paying high electricity rates, and wondering if the next storm will take out your power? Combined Heat and Power (CHP) units are gaining popularity around the world. The technology is not entirely new, but the application is changing the source of electricity and heat for many forward-thinking homes and offices. 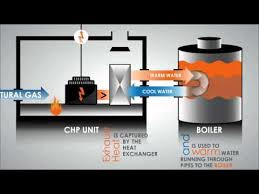 CHP units use natural or propane gas powered engines to produce electricity, while channeling the heat by-product to warm hot water or heat interior living space. The result is economic savings, reduced environmental impact, and energy independence. The units are compact, quiet, and clean. This short video will get you up to speed on CHP’s – part of the solution to the world’s growing energy needs, and an interesting alternative for your Cape Cod home! 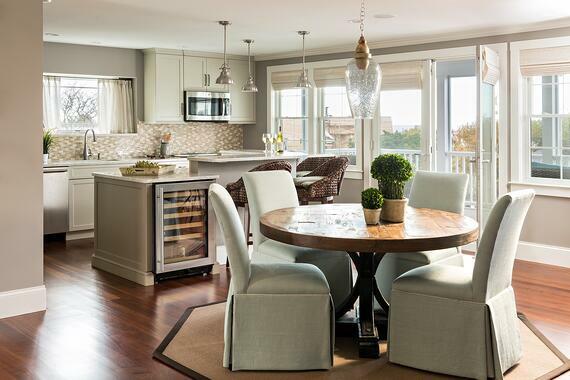 The Kitchen may be the heart of the home, but the Laundry Room pumps out the clean linen and clothes. Let’s face it, you probably spend more time in the Laundry Room then you’d like. The summer clothes line is handy, but there is no replacement for the washing machine. 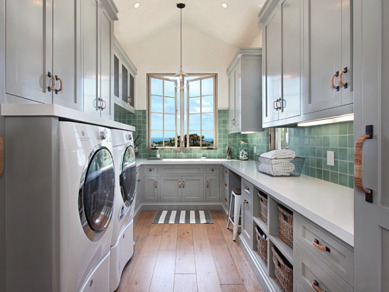 Virtually every REEF designed and built home offers a 1st floor Laundry, some of them with a view! With a little creativity you can create a Laundry Room that even the kids will enjoy. 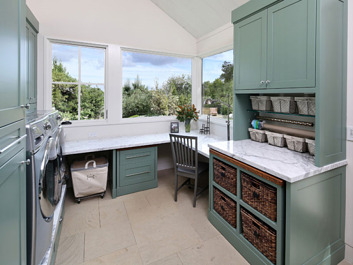 Here’s some great ideas to take your Laundry Room from dingy to dynamite! Many of our Customers are surprised to learn how very technical and highly regulated the residential building industry has become. Much of the increase in the cost of building homes is attributable to new regulations and codes. Of course these regulations are designed to protect consumers, and ensure that homes are well built and energy efficient. But the fallout is often higher build costs. The building code update issued in July 2014 required a maximum of 3 Air Changes per Hour (ACH) in any newly built home. The prior building code allowed about 7 ACH, so the new code meant that homes were required to be twice as “tight”, allowing less air in and out of the home. How does one measure ACH? 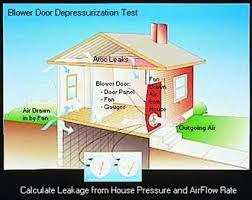 A Blower Door Test. *Determining how much mechanical ventilation might be needed to provide acceptable indoor air quality. It's summer! And time to soak in all the outdoors you can get! 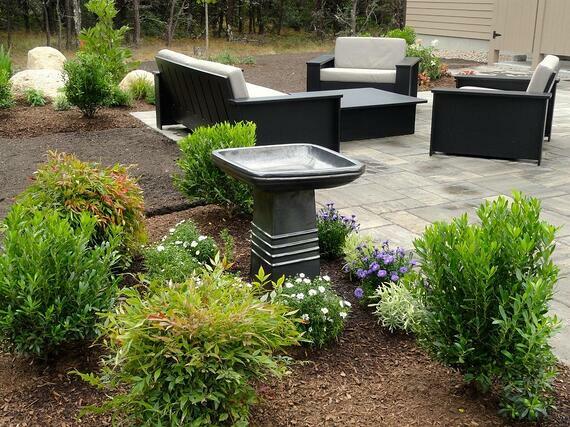 Cool breezes, long days, moonlit nights...that’s why an outdoor kitchen is the best idea! 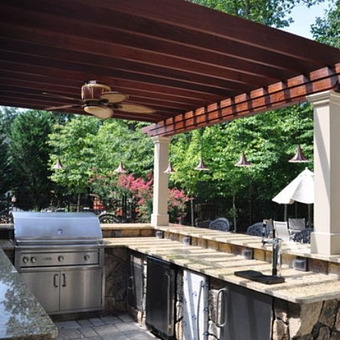 Outdoor dining keeps you out of the house, and an outdoor kitchen keeps the cook in the fun. 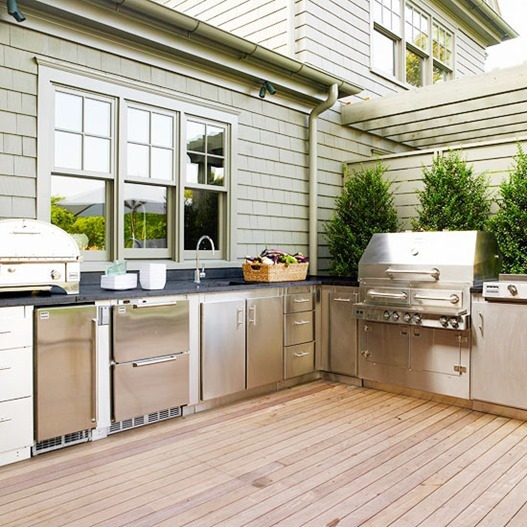 Here are some great outdoor kitchen designs that will make your Cape Cod home even better. Enjoy!